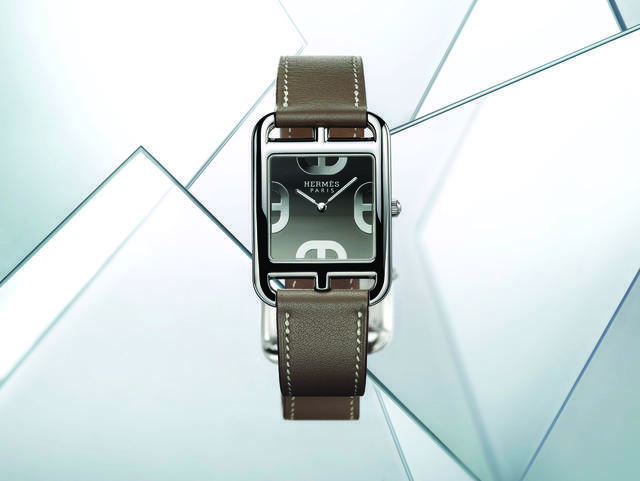 Originally seen (and somewhat unheralded) in 2010, the Hermès Carré H, a contemporary square timepiece created by architect Marc Berthier excelled with instant legibility and its Girard-Perregaux automatic movement. For 2018 Hermès Carré H returns slightly larger (38mm by 38mm) in a polished and micro-bead-blasted steel case and with a manufacture Hermès/Vaucher automatic movement. 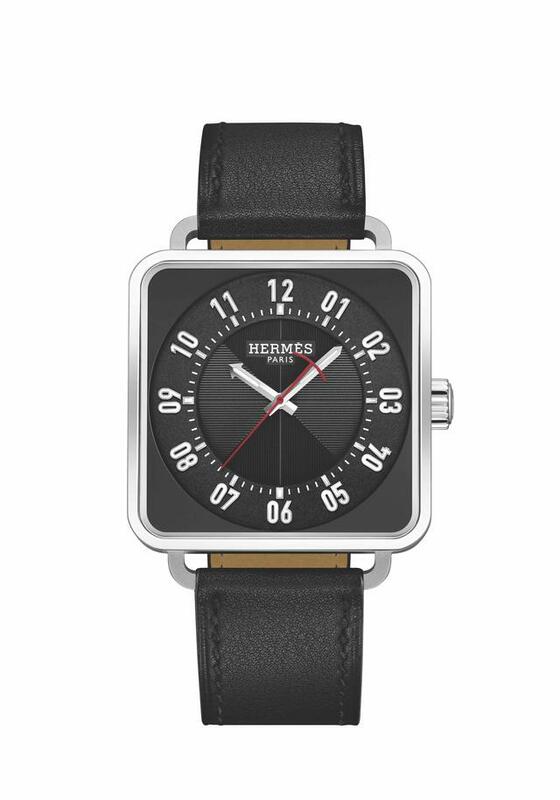 On the grey or black dial you’ll find right-angled guilloché work and facetted hands and numerals. 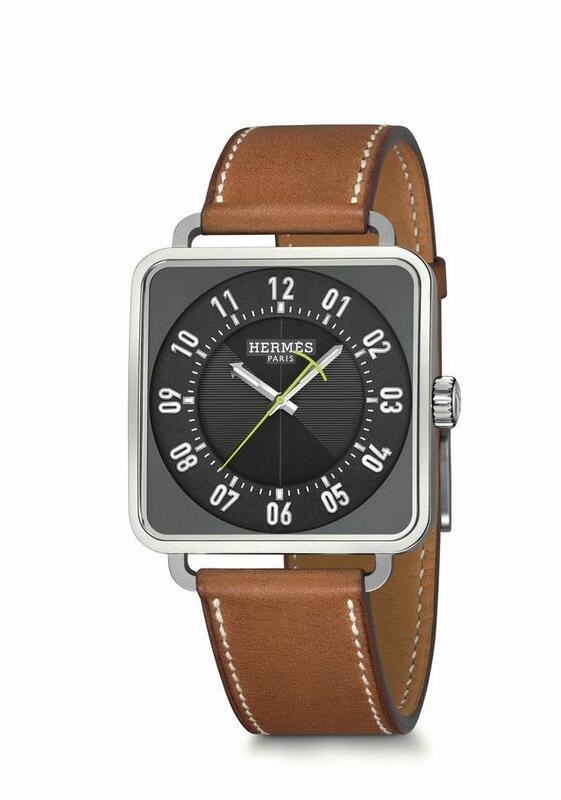 Instead of the markers seen on the original Carré H, Hermes now adds Arabic numerals with tech-tilt (01, 02 etc.) that creates an entirely new look for the debut. 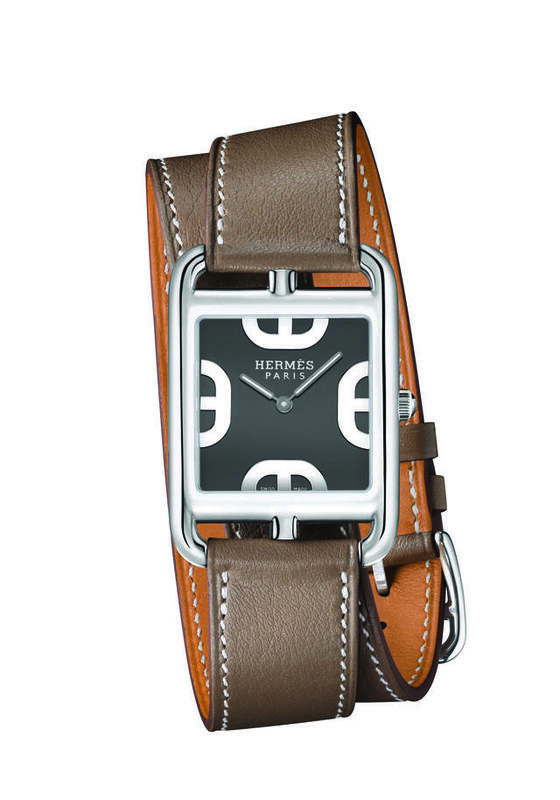 Hermès also expands its Cape Cod collection. 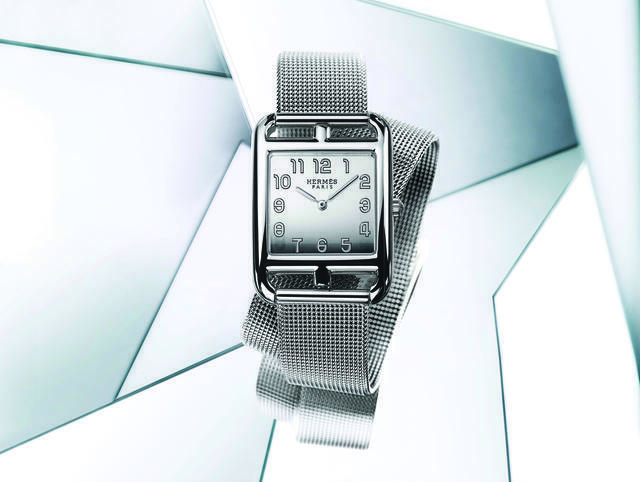 One new version features a rhodium-plated dial, polished to create a mirror-like effect and coated with a precious translucent lacquer. 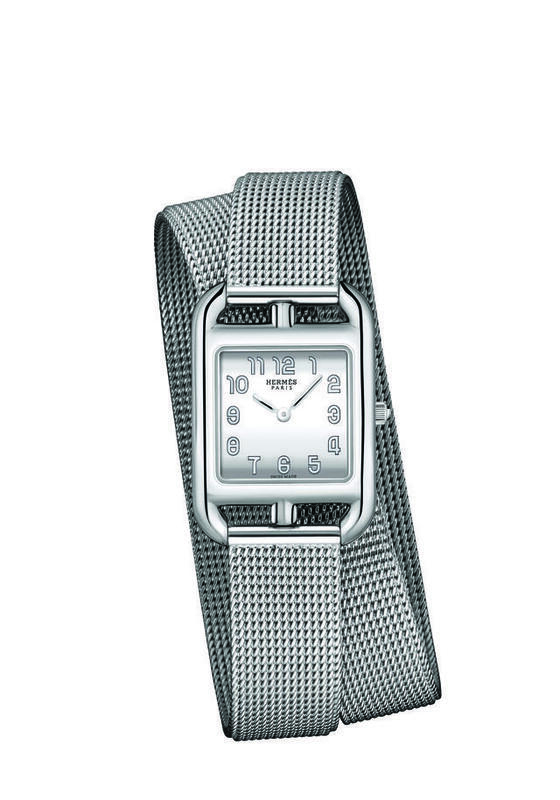 The watch is available in two sizes and with a single or double tour Milanese mesh bracelet. 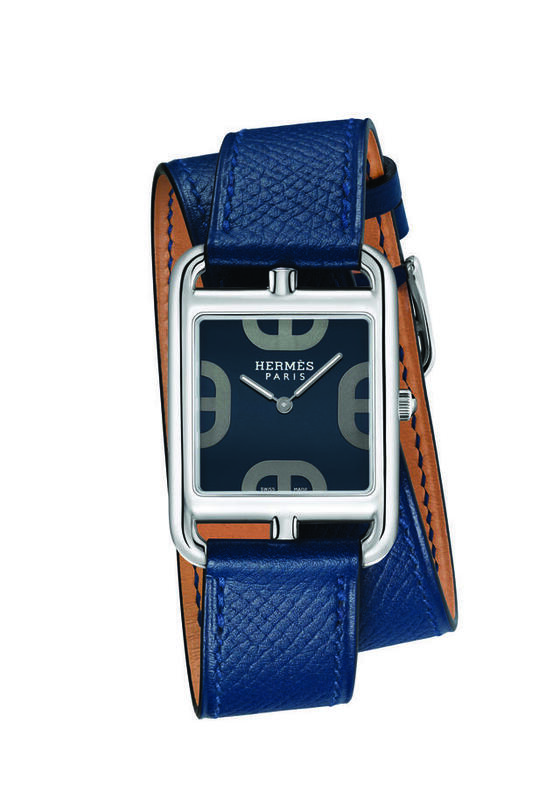 Two other variations are also introduced, in Large Model version only, with a single or double tour étoupe or Malta blue strap. 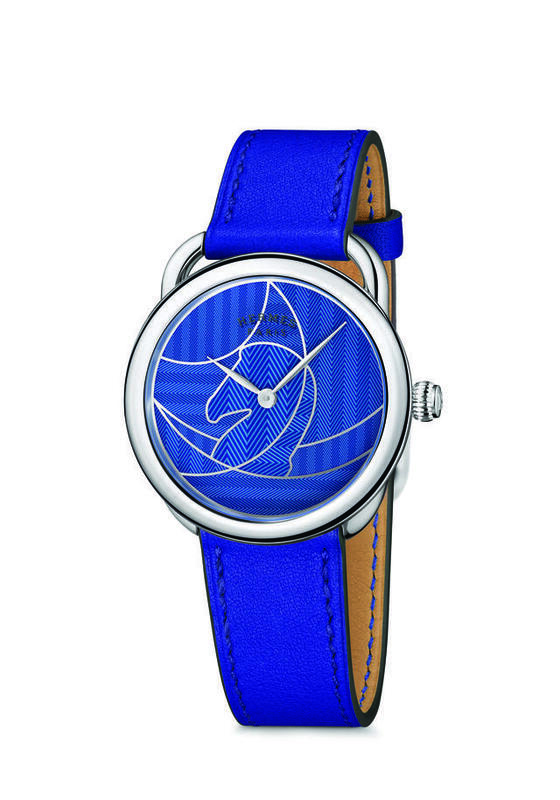 The dial of the first features a black gold treatment, while the second is blue lacquered. 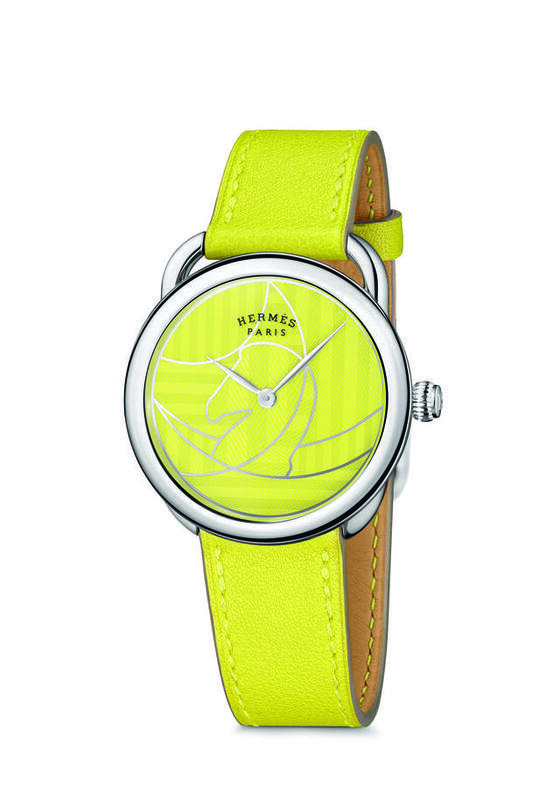 Finally, Hermès accents its equestrian theme with the colorful 36mm Arceau casaque, which refers to a jockey’s jersey. 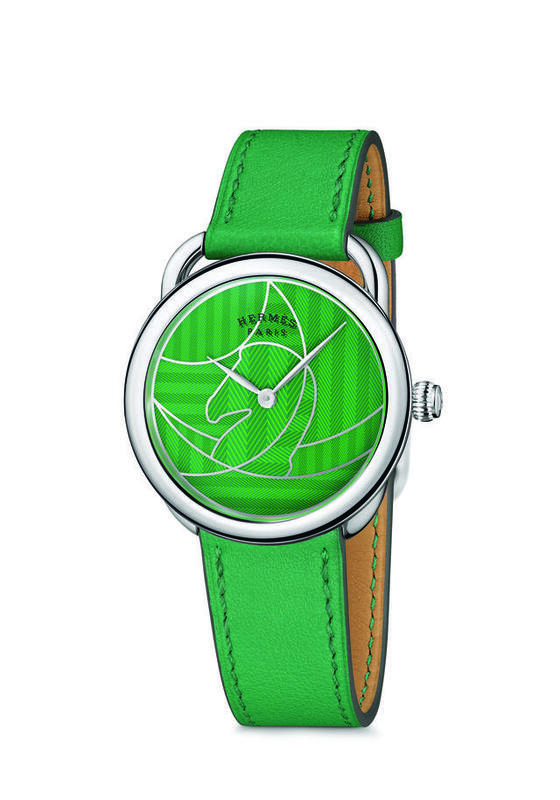 The dial, available in four colors, is crafted using champlevé, lacquer and transfer techniques. 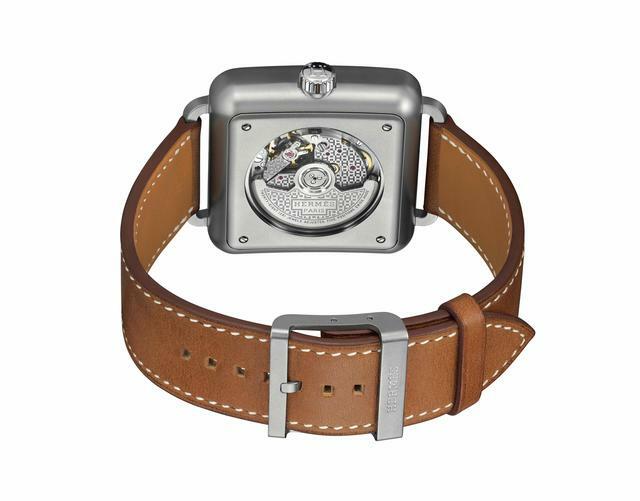 Hollows are first created in the dial base, then filled with lacquer. Inside is a quartz caliber.